Legislators in 2009 authorized the placement of a privately funded monument of the Ten Commandments, and a lawsuit has been filed seeking its removal. 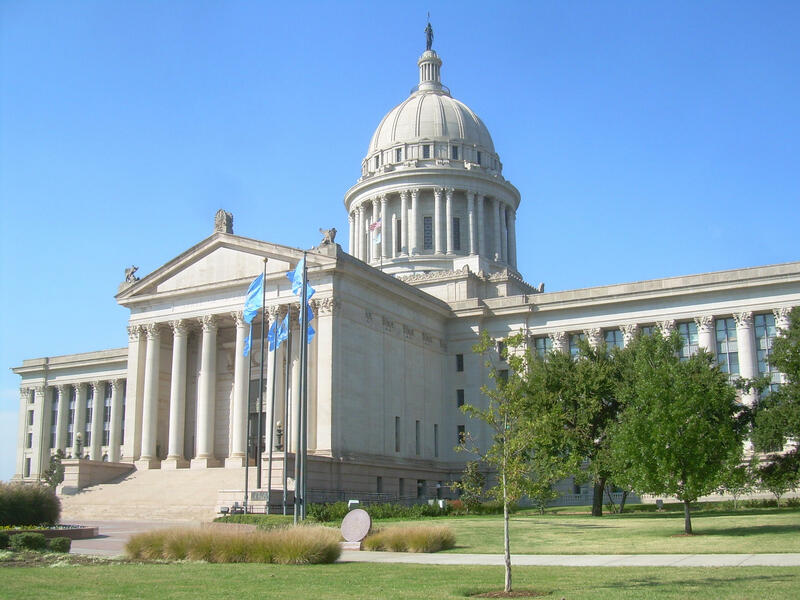 Meanwhile, a group of New York-based Satanists and a Hindu leader from Nevada each have expressed interest in donating monuments to be erected at the Oklahoma Capitol. The American Civil Liberties Union of Oklahoma has filed a lawsuit seeking to force the removal from state Capitol grounds of a monument that bears the Ten Commandments. The Tulsa World reports Monday that the civil liberties group filed suit in Oklahoma County District Court and names the Oklahoma Capitol Preservation Commission as the defendant.